Tame unruly hair while infusing it with moisture and shine with the Polished Edges with Black Jamaican Castor Oil On The Go from OKAY. OKAY is dedicated to bringing only high quality products with all natural ingredients to their customers. Recapture the ultra sleek pompadour or the perfectly laid baby hairs. Tame the stubborn frizzy hair and control the persistent straight hair.Imagine if you had the ability to control your hair any way you choose. Forget the bad hair days. 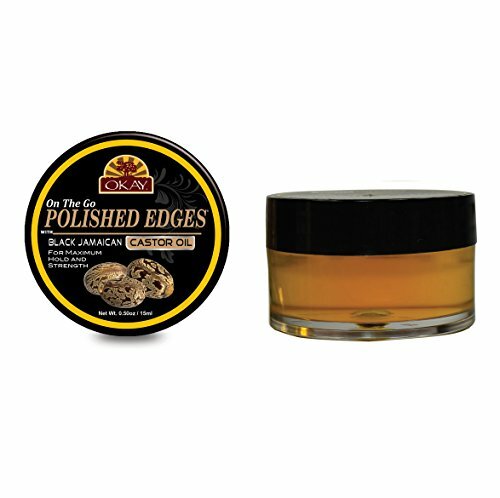 Every day is your best day.EDGE IT Firm Hold Pomade was carefully formulated and lab tested to give you a healthy, powerful, and effective tool to manipulate your hair any way you choose.Product Details:◆ Castor Oil Infused◆ Control◆ 24 to 48 Hour Hold◆ Slick◆ Tamer◆ No Flakes◆ Safe, Healthy Ingredients◆ Applicable For Dreads and BraidsClick 'Add to Cart' above to get your new favorite hair styling product - EDGE It Pomade! 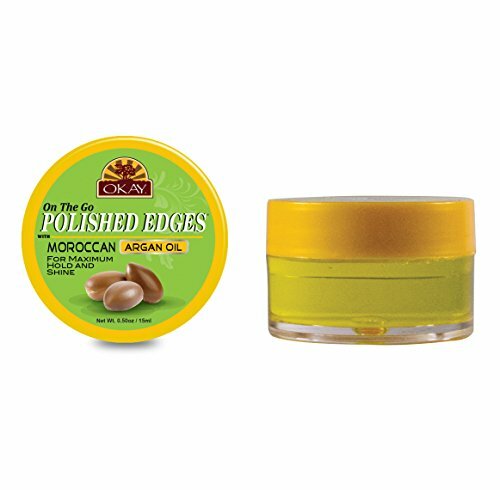 Okay On the Go Polished Edges, Moroccan Argan Oil 0.5 Ounce. Quality hair and scalp treatments. Products you can depend on from Okay. Best Beauty product. 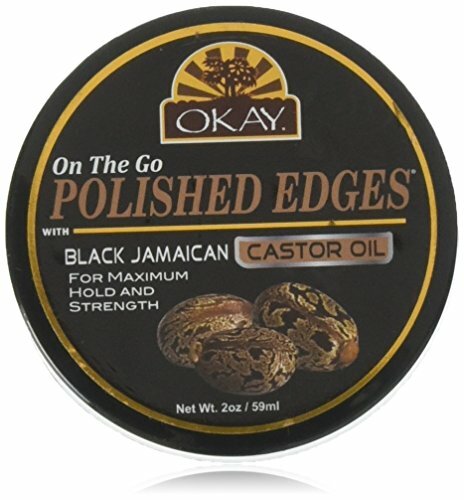 Okay Polished Edges with Black Jamaican Castor Oil, 0.5 Ounce This product is Manufactured in United States. 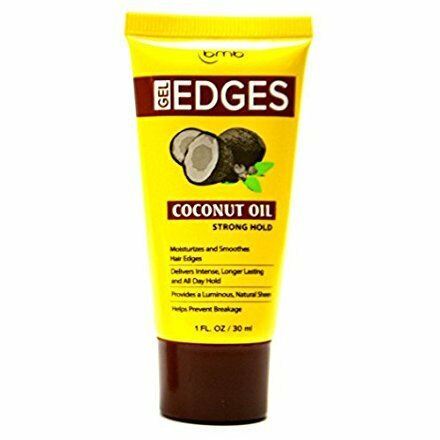 Moisturizes and smooths hair edges. Delivers intense, longer lasting and all day hold. 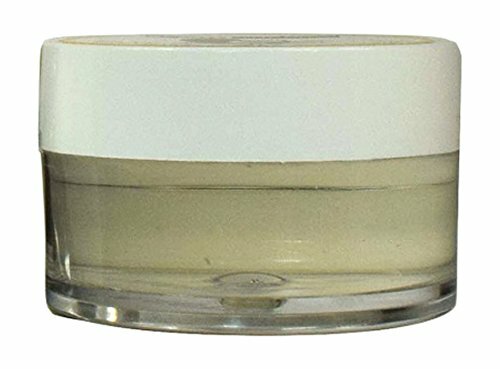 Provides a luminous, natural sheen. 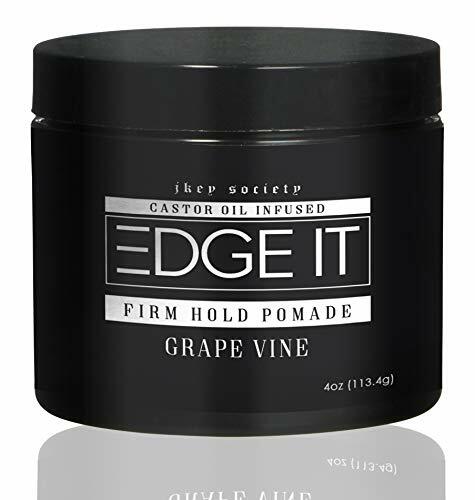 Creates a silky smooth texture. Tame unruly hair while infusing it with moisture and shine with the Polished Edges with Coconut Oil On The Go from OKAY. OKAY is dedicated to bringing only high quality products with all natural ingredients to their customers. 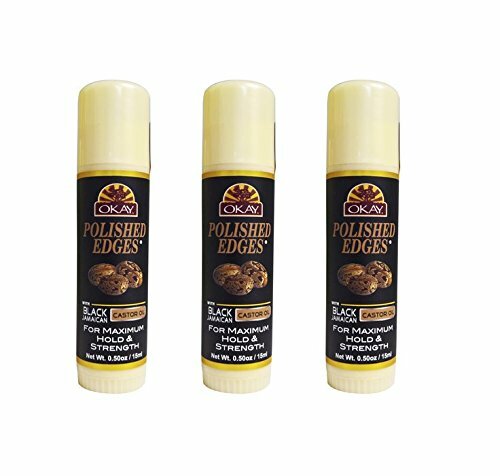 OKAY On The Go Polished Edges with Coconut Oil , 0.5 Ounce This product is Manufactured in United States. 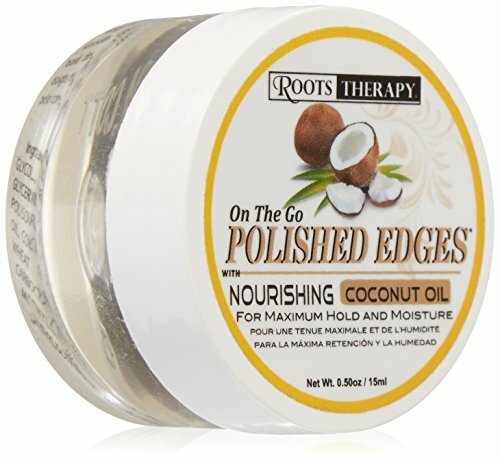 Roots Therapy Polished Edges provides extra strong long lasting hold and control to tame unruly edges. Enhanced with Coconut Oil this gel not only provides optimal style and hold but it promotes healthy shinier hair.Specifications. Size 2 oz59 mlIngredients. Water Ceteareth25 Propylene Glycol Peg7 Glyceril Cocoate Oleth20 Glycerin Peg25 Hydrogenated Castor Oil Polisorbate 60 Argania Spinosa Argan Nut Oil Cocos Nucifera CoconutOil Hydrolized Wheat Protein Hydrolized Soy Protein Carbocysteine Threonine Serine Methylchloroisothiazolinone Methylisothiazolinone FragranceDirection of Use and BenifitsApply to edges using either finger tips or a small brush to smooth down. For difficult edges repeat until desired results are obtained. 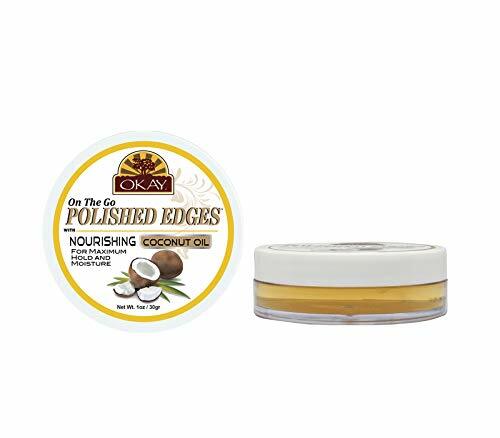 Tame unruly hair while infusing it with moisture and shine with the Polished Edges with Coconut Oil from OKAY. OKAY is dedicated to bringing only high quality products with all natural ingredients to their customers.